A group of Paeroa traders. NGUNGURU, with steam tug MATUKU astern and PATIKI just visible in background. 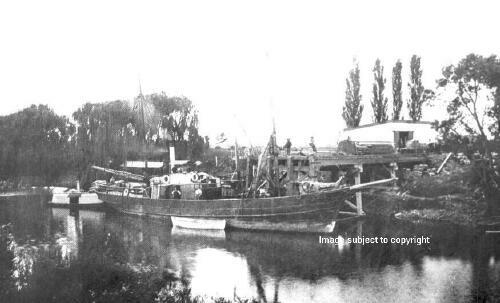 1896 sold to Northern Steam Ship Company Ltd.